Old Old Victoria Historical Site is a restoration of an early mining village, which includes a wealth of historical items, located in cabins depicting the early mining days. A scenic trail along nearby bluffs offers a view of the area’s only hydroelectric dam. Nearby are the sites where the “Copper Boulder,” now housed in the Smithsonian Institution, was found. 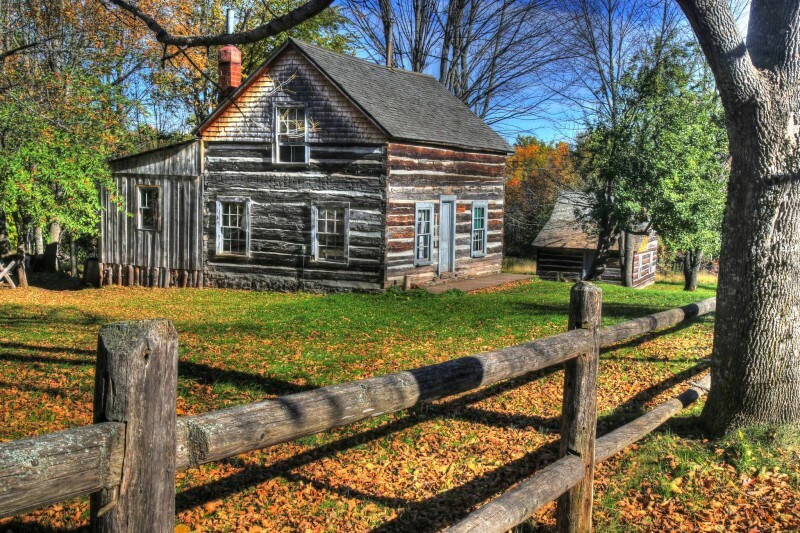 Old Victoria host a Log Cabin Day Celebration on the 4th Sunday of June. Old Victoria also holds a one-day craft fair on the third Sunday in August. Old Victoria open dates for 2016 are June 11 – October 2. Below are the latest postings from the Old Victoria Restoration Page On Facebook. Old Victoria Restoration shared a link. Drone capture changes the way we see the world. They're in the process of significantly altering how folk view the U.P., I expect. Mostly, people experience little bits of a landscape then piece that together in their minds. Do that enough over time, and maybe you get a pretty good idea of how the stuff you see fits together. It's far easier to view a given landscape as an organic whole when you can actually see the place intact through a few minutes of digital proxy. Plus, opening the place up like that to people who'll never go there is pretty profound, I'd think. Here’s mine from 2 years ago. Best day of my life! Cool - you can see why the ice went out in the village. Is there any river access between the dam and the power house? Old Victoria Restoration updated their cover photo. Old Victoria Restoration shared a post. There's always something special to find on the Victoria hill ... but this is something else! Bruce Stratton loved this place! Sorry but it's very hard to read the image.